amazing | Everyone needs a little Sparkle! Wanna Be An Entrepreneur? A nerve wracking but amazing experience! So I asked her if she thought it would be a useful event to attend for me and my new business? She said it would be super useful, but also encouraged me to apply to do a pitch of my business idea in order to win a £5000 business package including Website, logo, branding, mentoring which obviously would be an amazing prize to win for a start up business! I applied on line, not expecting to hear anything back, but soon got an email from Baiju ( the guy that organises and runs the events) saying I’d been successful in my application and that he’d be calling me soon to go over details. So to cut a long story short, I headed up to the hotel where the event was being held to stay there the night before as didn’t fancy a morning battle with the M25, and Kym had also suggested I Did Sammy (one of the speaker’s) make up It had been a long day with the confidence battering photoshoot that morning so got there and had a hot bath went through my notes and set up a makeup station in my room as Kym and Sammy were meant to arrive @ 7.30 am. Went @ 9 into the very packed hall where Kym found me a place in the front row – the event started off full of energy with a dance group and followed with some excellent speakers – managed to hear the first two – took in a lot of info that will certainly be putting into practice – then myself and the other 3 people pitching were pulled aside and told that the pitches were being brought forward as the next speaker was stuck in traffic – *gulp! 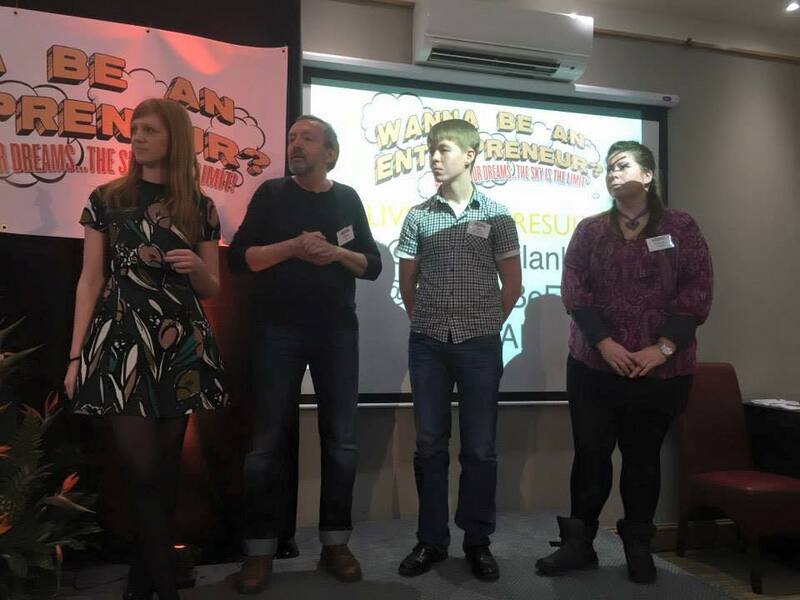 * I asked Kym where the pitch was going to be as she had explained it to me as 5 judges – in my head that meant a dragon’s den style thing – nope – it was on the stage to the 5 judges AND the other 225 people! At this point I started to have a bit of a nervous breakdown – I’m not outgoing in the slightest and the thought of getting up in front of all those people, let alone 5 was just beyond awful to me!! 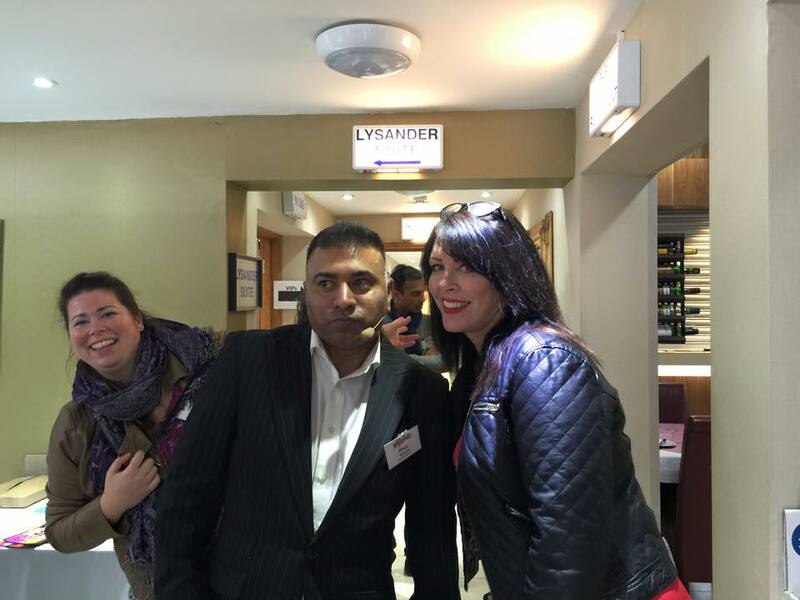 The wonderful Kym and Baiju helped me pull myself together and with a lot of support I decided I could do it! Then my beautiful bestie Sarah turned up and all was right with the world – I could just look at her and Kym and my new friend Sammy if struggling and pretend my pitch was just to them! I was to go last of the 4 pitchers and was sitting next to this awesome kid Sam who had an ethical bee business, Sarah and I were trying to support and help him as he was just as nervous as me and found it amazing that she had come along to support me, but I’m sure she will agree she learnt a lot from the event too – awesome speakers! I’m sure my support of Sam was super good karma as I would find out later! I spoke about my passion for make up and about how although it was a business my main aim was to help people with it, to make them look & feel amazing, to give lessons on certain subjects in person and also broadcast on youtube – all whilst shaking like a leaf! 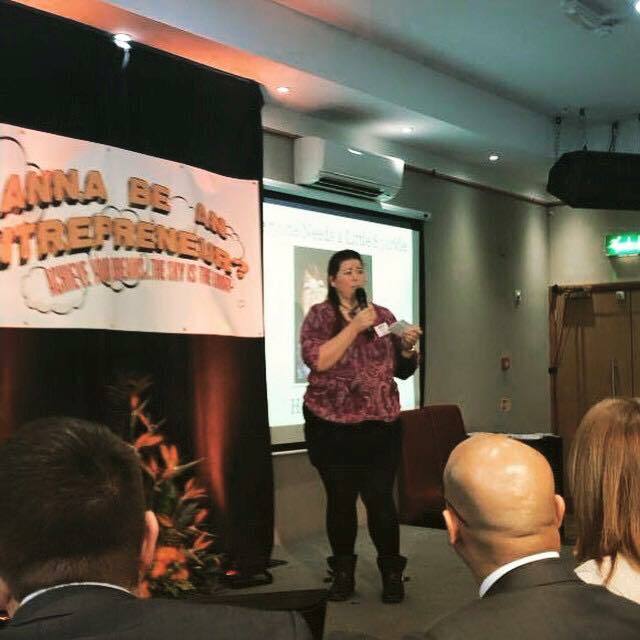 Once the pitches were over I could relax get a drink and something to eat and do some networking – was great to have loads of encouragement and good comments about my ideas and had the biggest adrenalin rush feeling of “I can do anything if I could do this” after being so near to backing out! After a couple more awesome speakers the live pitch results were announced and Sam of Porch honey had won, bless his little cotton socks! I still felt like a winner though just for the experience and for pushing myself so far out of my comfort zone, learning a lot through the speakers, met some lovely new friends, got my business name and ideals out to 230 people – winners all round, and with new found confidence & an “I’ve got this” attitude which makes all the difference in the makeup business! So, unfortunately I am not one of the lucky ones where it comes to lashes, mine are of the short, stumpy, non curly variety, to the extent I was thinking of getting eyelash extensions done for my holiday in the full knowledge I might find them uncomfortable and the glue might melt in the heat! 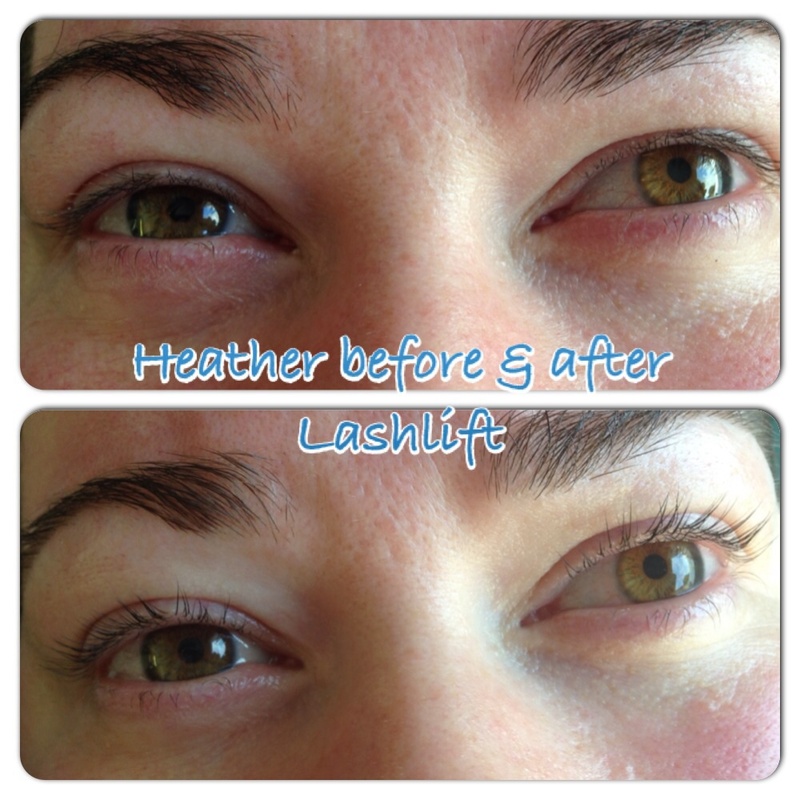 That was until I saw a post on facebook about eyelash lift – the before and afters were enough to convince me! 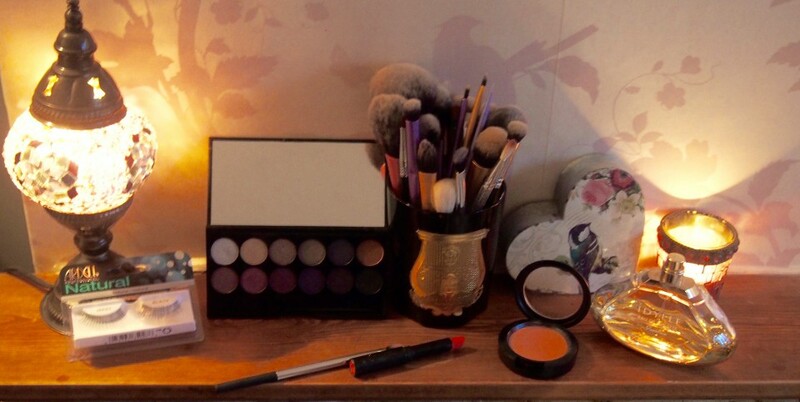 I contacted the lovely Terri from The Beauty Spot, Dorking and she told me basically what was involved – sounded painless enough and for the bargain price of £25 how could I resist? The process takes about 40 minutes and involves putting a silicon guard over your lashes and pulling them through / styling them, the first solution is applied for 16 minutes and some cotton pads, clingfilm and a towel are placed over your eyes to keep the heat in and allow the solution to work better. The first solution is then removed and a second solution is applied for 9 minutes, again with the clingfilm and towel. When the second solution has taken, it is removed and the final stage of a tint is put on for 13 minutes, when that’s done and rinsed off the silicon guards are carefully removed and eyes rinsed with water to make sure there’s no tint in them and your beautiful lifted lashes are revealed! They look amazing and will lift further still over the next day, definitely recommended!